"This book is food for all who are hungry for an inner transformation in their lives. Tapping into ancient spiritual practices, Daniel Vestal connects biblically based mysticism with evangelism and social justice." Do you long to make a difference in the world? 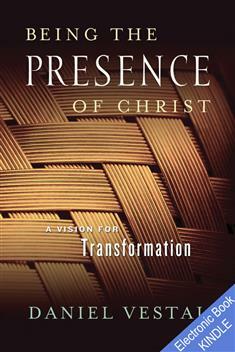 Learn how to be Christ's presence. As Christians, we can continually embody Jesus Christ—be the presence of Christ—and we have the power to transform ourselves, our society, and the world. The challenge in becoming the presence of Christ is that many of our prejudices and patterns of living will need to change. The hope is knowing that such transformation is possible. Daniel Vestal says, "I write this book as one who has lived most of my life as a Christian. Though I have had my intellectual struggles and personal struggles, I have never left the Christian faith. My experience has led me to ask, 'What is the really good news that the Christian Gospel claims to possess and proclaim?' I seek to offer my voice as a witness to this Gospel as I understand it." Find out how to be the presence of Christ, and make a difference in this needy world.